It's in every household in America; why are we all exposed to this dangerous toxin? To understand the dangers lurking in our drinking water and toothpaste, we must first start in the very center of our brains: the pineal gland. This tiny gland has been a topic of discussion for many years, and still remains quite mysterious. From a scientific definition it is a small endocrine gland in the vertebrate brain; sometimes called the “third eye” because it is a light sensitive, centrally-located organ with cellular features resembling a human retina. How you think and feel every day depends largely on the pineal gland. As the producer of the hormone melatonin, the quality and duration of how you sleep relies on how well it produces this hormone. This tiny organ regulates your daily and seasonal circadian rhythms; the sleep-wake patterns that determine your hormone levels, stress levels, and physical performance. Like a tiny pea-sized pine cone, it’s located in the center of the brain, and is a very unique brain structure because it isn’t protected by the blood-brain barrier. While Descartes' theory has never been proven, we do know that the pineal gland's functions are absolutely crucial to the everyday health and balance of the human body. In the late 90s a scientist named Jennifer Luke carried out the first study on the effects of sodium fluoride on the pineal gland. She determined that the gland, located in the middle of the brain, was a target for fluoride—perhaps because it isn’t protected by the blood-brain barrier. This may explain why it’s uniquely sensitive to calcification via fluoride exposure. The gland simply absorbs more fluoride than any other matter in the body, even bones; the pineal gland acts as a magnet to fluoride. This calcifies the gland, making it no longer effective in balancing the correct hormones throughout the body. So what exactly is fluoride? And what exactly are we drinking? The substance added to our drinking water is called hydrofluorosilicic acid. It is a toxic waste substance created from the production of aluminum, fertilizer, steel, and nuclear industries. It’s not the natural element of fluoride, it’s industrial toxic waste. Industrial practices produce millions and millions of gallons of this liquid hazardous waste. Because it costs these corporations thousands and thousands of dollars per ton to neutralize and dispose of hydrofluorosilicic acid, they instead sell it to the population as a "product." How ridiculous is that? Hydrofluorosilicic acid is shipped to your local drinking water supplier. Despite all the proven research and negative data, fluoride is still being added to every public water supply and many bottled water brands. Most common crops are also watered with fluoridated water, even though it’s illegal to dump fluoride into lakes and rivers. 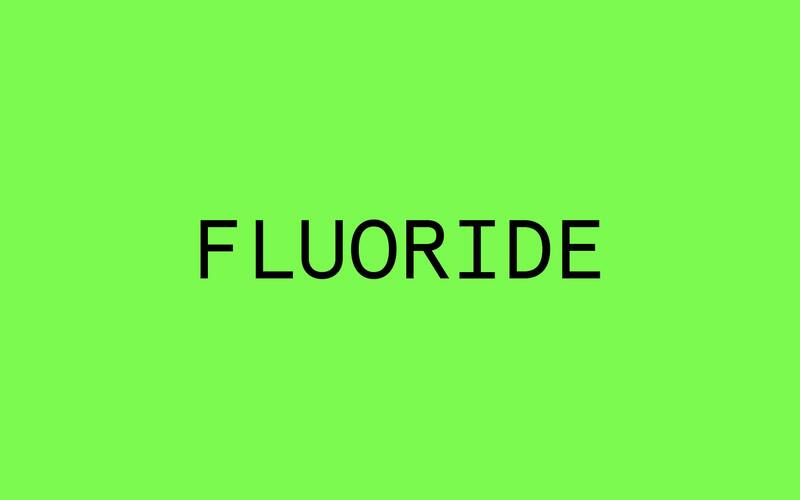 Fluoride is also in every tube of toothpaste; since 1997 the Food and Drug Administration requires all fluoride toothpaste sold in the United States to carry this warning: WARNING: KEEP OUT OF REACH OF CHILDREN UNDER 6 YEARS OF AGE. IF YOU ACCIDENTALLY SWALLOW MORE THAN USED FOR BRUSHING, SEEK PROFESSIONAL HELP OR CALL A POISON CONTROL CENTER IMMEDIATELY. Doesn’t sound very reassuring. In fact 98 percent of Western Europe has now rejected water fluoridation—and their teeth are just as healthy as Americans. Fluoride is also found in processed sugars, caffeines, alcohol, and tobacco, along with many other common household items. Now that we know that fluoride exposure leads to calcification of the pineal gland, the questions remains: what are the subjective effects of these tissue changes for those who undergo them? Prozac may represent an archetypal example of how fluoride affects the personality. This popular drug contains 30 percent fluoride and is marketed as an “antidepressant,” even while a major side effect of its use or withdrawal is suicidal thoughts. Modern psychiatry often treats depressive disorders as an organic disorder of the brain, targeting serotonin re-uptake by any chemical means necessary. Fluoride may accomplish their intended “therapeutic” effects by poisoning the pineal gland. Prozac can cause a favorable reaction in those who are treated with it because it disassociates that person from psychological conflicts that they would normally suppress—in order to maintain the appearance of sanity and functionality in day to day life. As easy as it is to acquire a calcified pineal gland, it is also easy to remove some existing calcification with natural remedies such as raw chocolate, citric acid, and garlic. These all help to dissolve calcium in the body, along with the obvious method of avoiding the consumption of water, toothpaste, or food that has been fluoridated. Convincing the public that we need to add fluoride to our water supply was one of the most sophisticated cons of all time. It created a multi- billion dollar industry and enabled manufacturers to sell this worthless and toxic byproduct of aluminum to local municipalities for a profit. It's time for people to know the truth.